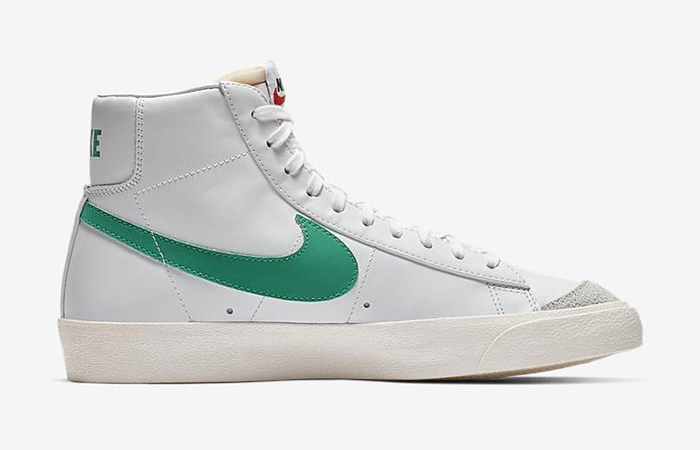 Nike Blazer Mid 77 Green White might come as a blow to the sneak freaks! 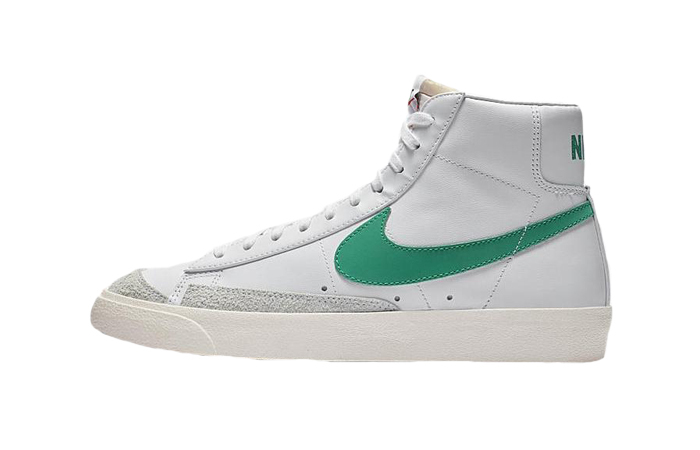 This kick makes the traditional element take a back seat and lets a furry suede craft it completely. 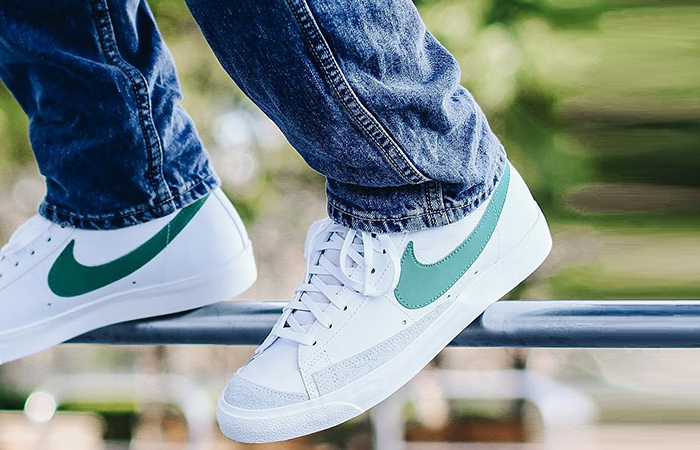 It gets its cues from the DIY ethos and also the sass from white and green. 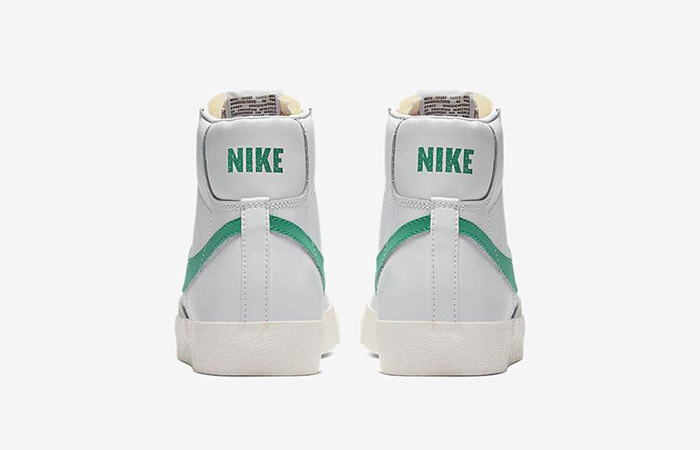 Ruling by the three-way collab, this boot-top is going to wipe out the entire sneaker race! 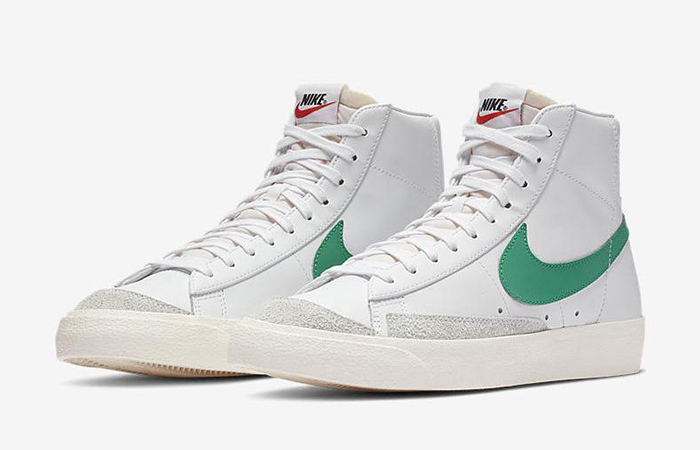 It’s hard enough to find the ideal pair to match your outfits, and now it’s going to be hard to cop this animal as well. This team-up adds to the pressure because there’s no way it can stay up on the racks and wait for you. 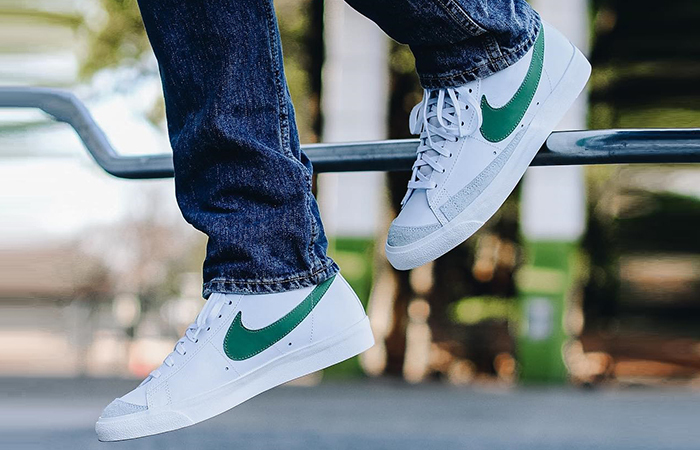 Follow @FastSoleUK for more. The construction is just alike as the originals, but the foundation gets a new look. Its walls are crafted with the rough and hairy suede mentioned before, and it comes as a blank white canvas! An included blue-print stencil or whatever rations you have on hand can make this show more appealing. 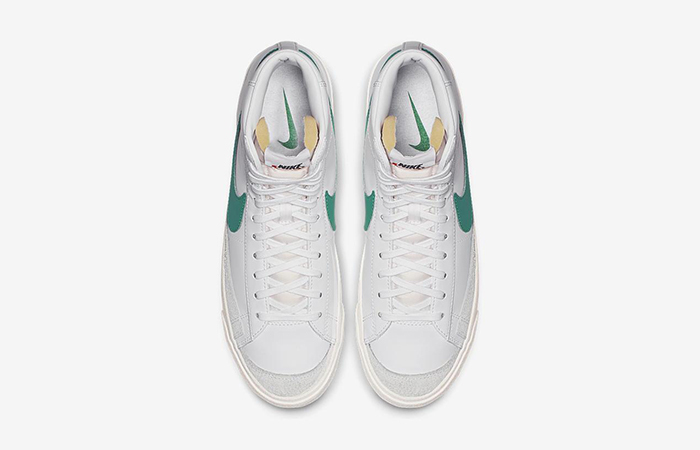 White rear collar, Green Swoosh and laces, and a white Herringbone midsole complete the look. 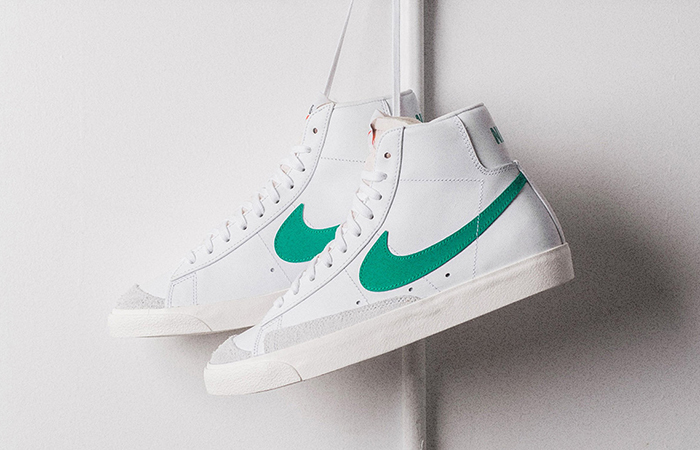 Nike Blazer Mid 77 Green White releases February 14th via listed UK and European retailers.